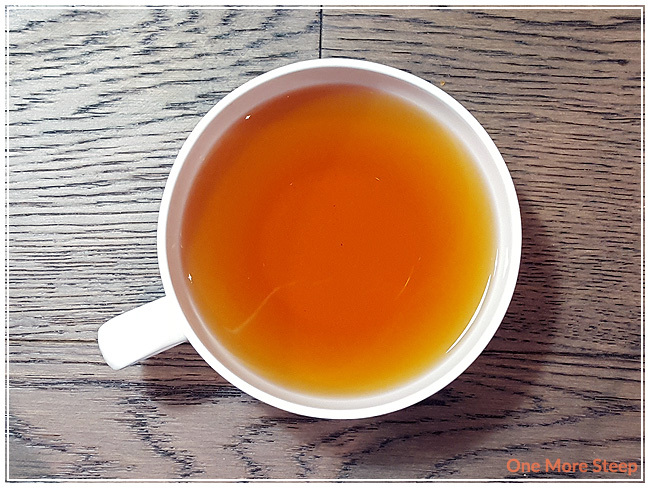 First things first, “red tea” is what the Chinese call black tea, and “black tea” is what the rest of the world refers to as pu’erh (puerh/pu-erh) – just in case you though I lost my ever-tea-loving mind. That said, onto the review! 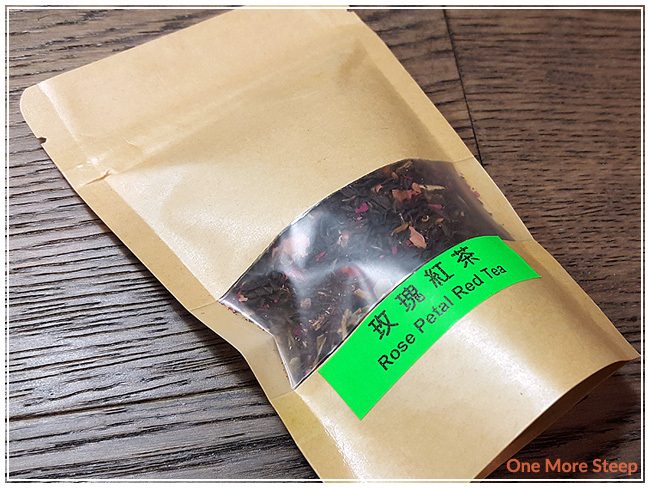 I first tried Rose Petal Red Tea at Aroma Tea House’s 2017 Vancouver Tea Festival booth. It was one of the teas that they were sampling and I honestly just kept coming back around to their booth to taste this tea – it was that enticing and that good. I ended up buying it (obviously) and was happily given more samples of this tea. 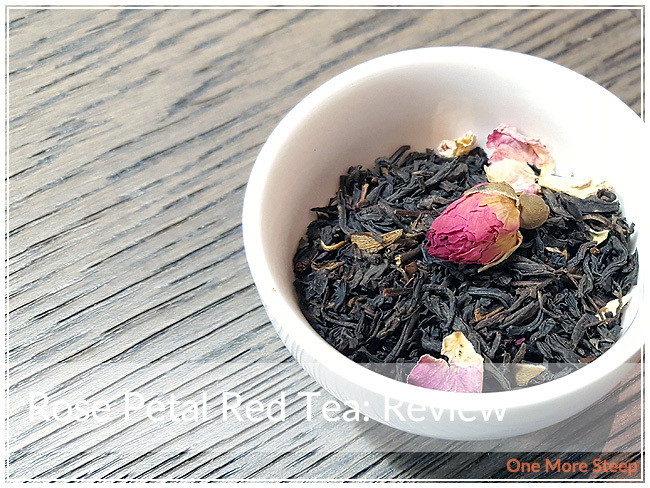 There’s no ingredients listing on either the packaging or the product page online, but from the appearance of the day I would say it’s pretty much Chinese black tea, red rosebuds and red rose petals. This tea is amazingly floral and sweet. I would describe this tea as smelling pretty, if pretty had a smell. There was no recommended water temperature for this tea, so I opted to go with 100°C (212°F), but Aroma Tea House did suggest steeping it between 1½ to 3½ minutes. My initial steep of Rose Petal Red Tea was 2 minutes. 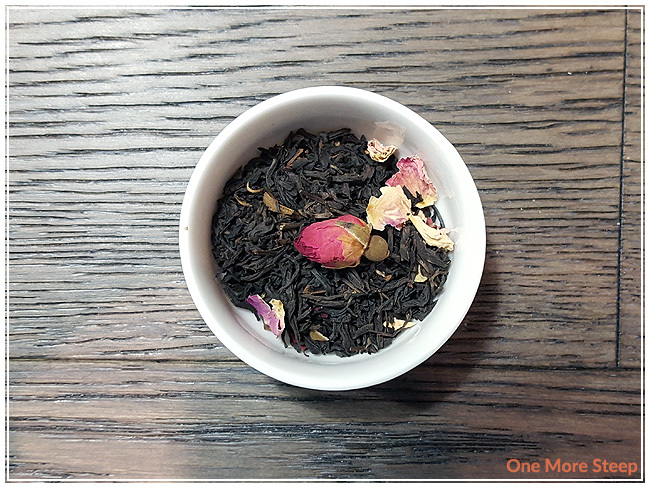 Rose Petal Red Tea steeps to a beautiful golden orange, and has a very floral aroma that comes up from this tea. It smells mostly of roses and I can barely smell the black tea base. For the flavour of Rose Petal Red Petal – there’s the distinct sweet floral notes of roses, as well as a nice bold earthiness from the black tea base. Some of the sweetness tastes like roses, and part of it tastes like honey. The earthy notes from the black tea base help to accentuate the flavour of the roses and keeps it from being a very ‘one note’ tea. 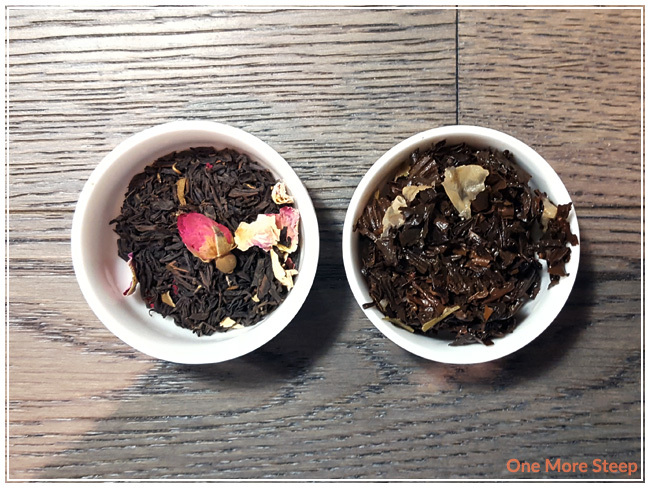 I resteeped Rose Petal Red Tea a total of four times, adding an extra 30 seconds for each subsequent steep. The flavour gets a bit stronger, and starts to wane by the third and fourth resteep – I found the flavours to still be pretty good and I would say it probably needs a bit of honey for maybe the third or fourth resteeps if you like it to be a bit sweeter (otherwise, it doesn’t really need sweetener because of the floral sweetness that naturally comes from the rose petals). I loved Aroma Tea House’s Rose Petal Red Tea. It probably doesn’t surprise anyone that I love this tea, since I tried it so many times at the Vancouver Tea Festival. This black tea blend tastes delicious, I found it flavourful and resteeped well. I think it would be the perfect tea to partner with an afternoon tea – black teas tend to be the norm and this tea just feels pretty to me, and who doesn’t want to feel pretty when having afternoon tea?